Velodyne Lidar, Inc. participated as a gold sponsor in the recent Japan Automotive AI Challenge. The university student competition, organized by the Society of Automotive Engineers of Japan, brought together student teams to compete for artificial intelligence (AI) algorithm accuracy during autonomous driving on test roads. 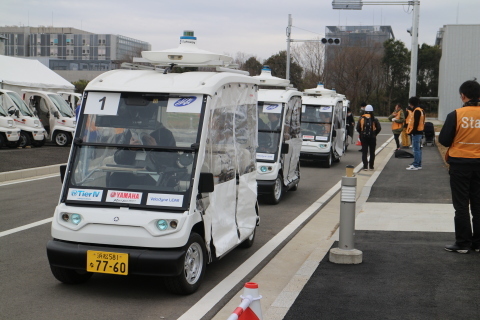 The challenge, which took place at the University of Tokyo in Tokyo, Japan on March 23-24, 2019, supports education of AI engineers in autonomous vehicle (AV) development. AI algorithms developed by the teams were installed in self-driving motorized karts and used in a test-track competition. Each of the autonomous karts was equipped with Velodyne Puck™ lidar sensors to provide the rich perception data needed for autonomous driving. The team from the University of Tokyo emerged as the competition winner.